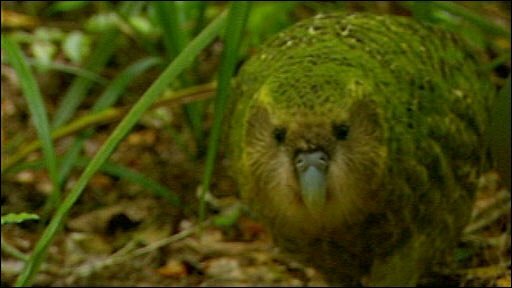 When Stephen Fry goes in search of the rare kakapo - "the old night parrot of New Zealand" - he finds himself privy to an unusual mating ritual which is "one of the funniest things he has ever seen". Fry and zoologist Mark Carwardine have been tracking down some of the most endangered animals on the planet in a six-part series. Last Chance to See goes in search of the Kakapo on Sunday 4 October at 2000BST on BBC Two. Previous episodes are available at the Last Chance to See website.